The “Lob” or Long Bob has been making its appearance for some time now, but it seems to have gotten a bit shorter. The “It cut” of the year dubbed by In Style Magazine, is being worn by our favorite stars, from Emma Stone to Julianne Hough and Karlie Kloss, this cut is being worn straight and blunt, messy and wavy, and styled to a “T”. This short cut is fun and edgy. A lob ranges in length from your chin to your collarbone. The current trend is on the shorter side, but longer lobs are just as fun, with a little less edge. Ends are usually left blunt, with minimal layers. It can be worn messy or polished, and is a fun change from long locks. 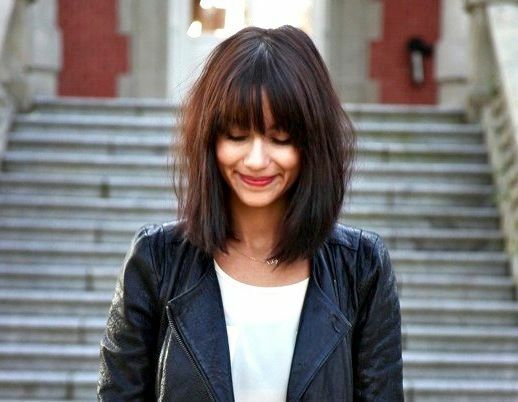 This versatile cut looks great on most face shapes, and pares well with just about any type of bangs. Just looking at these lovely cuts makes me want to chop my hair to match. Will you hop on the bandwagon and make the cut?